(Vocal Collection). 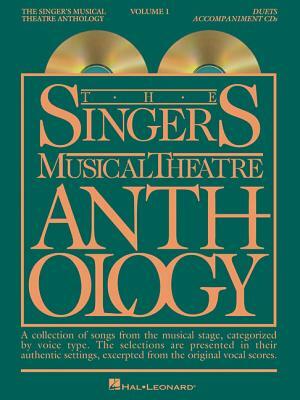 Two accompaniment CDs in each package which match the books containing a collection of songs from the musical stage, categorized by voice type. The selections are presented in their authentic settings, excerpted from the original vocal scores. Contents: ANYONE CAN WHISTLE: With So Little to Be Sure Of * BABES IN ARMS: You're Nearer * BELLS ARE RINGING: Salzburg * CAROUSEL: When the Children Are Asleep * FOLLIES: Too Many Mornings * THE KING AND I: I Have Dreamed, We Kiss in a Shadow * KISS ME, KATE: Wunderbar * KNICKERBOCKER HOLIDAY: It Never Was You, Will You Remember Me * THE MOST HAPPY FELLA: My Heart Is So Full of You * OKLAHOMA : People Will Say We're in Love * 110 IN THE SHADE: A Man and a Woman * PORGY AND BESS: Bess, You Is My Woman, I Loves You, Porgy, What You Want Wid Bess? * ROBERTA: The Touch of Your Hand * SHOW BOAT: Make Believe, You Are Love * SONG OF NORWAY: Strange Music * STREET SCENE: We'll Go Away Together.